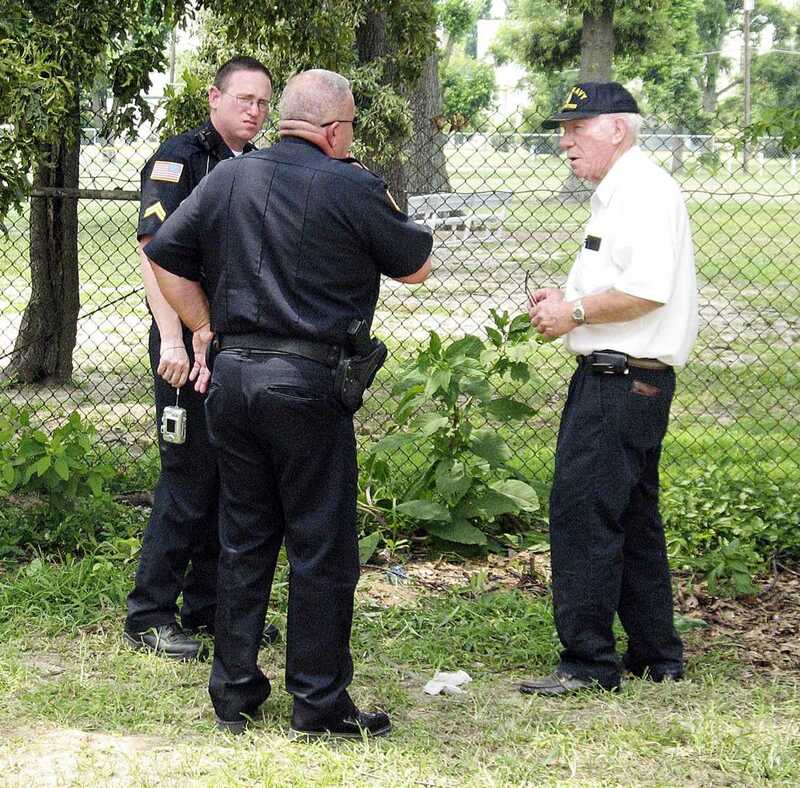 File photo Former Dunklin County Coroner, Jack Adkins, right, talks with Kennett Police Officers regarding a body found at Jones Park in this 2009 file photo. Adkins has served Dunklin County for a total of nearly 30 years, first as a deputy coroner for 10 years under Tom Doherty until being elected as chief coroner in 1992. He officially resigned from his position July 31.